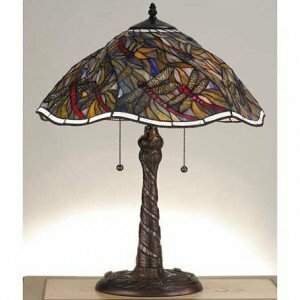 Warm Earth Toned Bone Beige And Moccasin Tan Stained Glass, Accented With Glistening Root Brown And Sage Green, Is Used To Make This Intricate Interlocking Patterned Shade. 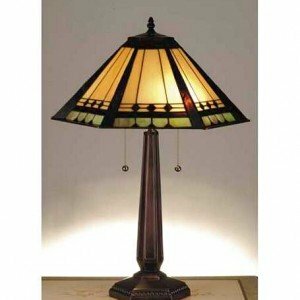 A Mission Style Lamp Base In A Hand Applied Mahogany Bronze Finish Supports The Handsome Square Shade Inspired By Native American Artwork. 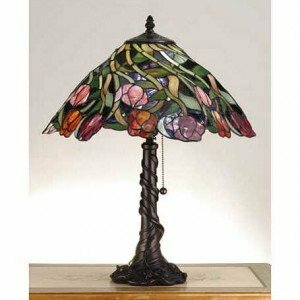 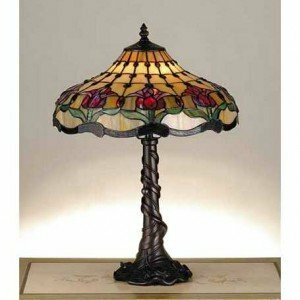 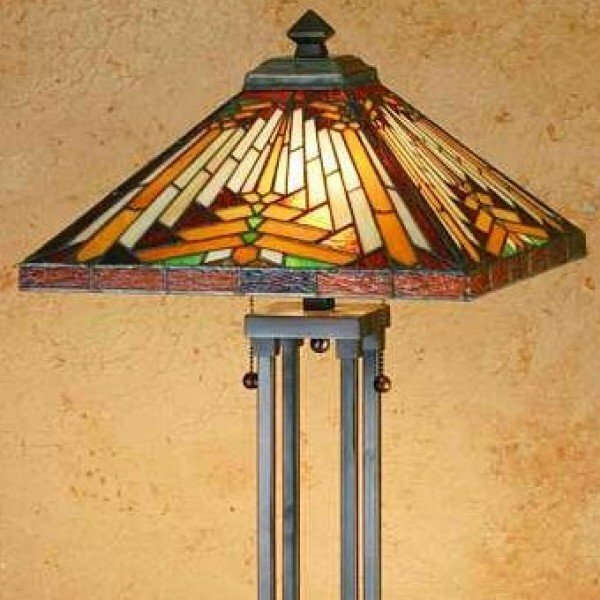 Handcrafted With The Copper Foil Technique Developed By Louis Comfort Tiffany, This Table Lamp Is A True Masterpiece.